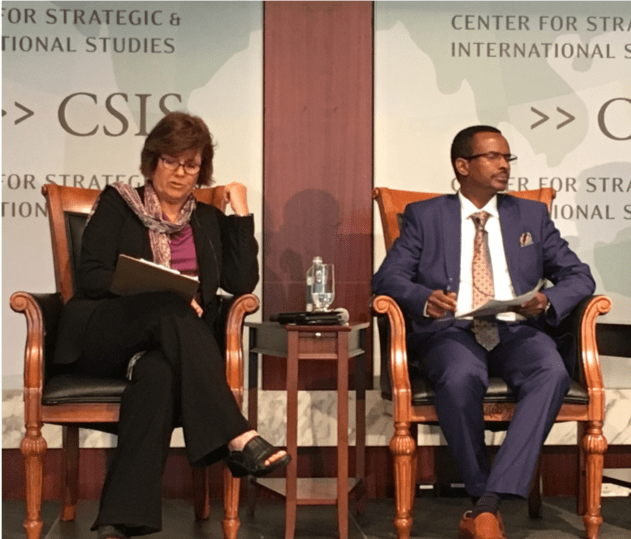 On July 10, the Center for Strategic and International Studies held an international conference on the role of the US in global polio eradication. Sen. Mitch McConnell, a polio survivor, provided the keynote address. Ahmed Arale, the CGPP Secretariat Director for Kenya and Somalia, discussed the work of the CORE Group Polio Project in the Horn of Africa, emphasizing the cross-border work between Kenya, Somalia, South Sudan and Ethiopia. Reaching cross border, mobile, migrant populations demands elevated levels of coordination and persistence. “For you to work in these difficult areas, you have to be very innovative,” he said. Read more about the event, or learn more about CGPP.